Different viewpoints on #openaccess: read the report of our debate: [link] . More on correlation, causation, and confusion. Thank you for reminding us of the social influences on physical sciences. My claim is the 11 year sunspot so called normal cycle and the climate will not show a relationship because the noise in the climate system obscures the slight solar changes not to mention the variations within the 11 year sunspot cycle from maximum to minimum conditions cancel each other out. Only when the sun enters extreme prolonged periods of inactivity or activity for that matter are those two issues nullified and hence a solar /climate connection is able to be established. It is no longer obscured. I have come up with the minimum solar parameters needed in order to accomplish this by looking at the historical climatic record and how it has responded to solar activity. It shows each and every time the sun enters a protracted period of extreme inactivity the response in global temperatures has been down. That is fact and until data shows otherwise I think the case for a solar/climate relationship is strong. In addition the sun drives the climate therefore logic follows that any change in solar conditions has to have an effect on the climate to one degree or another. The point is how large is the effect and is it large enough to overcome the noise in the climate system which can obscure small minor solar changes. The other side is what are the extreme solar changes in regards to degree of magnitude and duration of time needed to change the climate through solar activity changes themselves and associates secondary solar effects? I am sure every one agrees that if solar changes are extreme enough there would be a point where a solar/climate relationship would be obvious. The question is what does the solar change have to be in order to be extreme enough to show an obvious solar/climate relationship? Again I have listed the solar parameters which I think satisfy this issue. WaPo and wheat. The study is garbage from the gitgo for three simple reasons. 1. Wheat is not ‘wheat’. Summer (Plant spring harvest fall) and winter (plant fall, harvest early summer) types 2. Wheat yields for both types everywhere rose steadily until about 2000 as the semidwarf and rust resistant cultivars Borlaug developed in the 1940s and 1950s were adopted everywhere. So there is literally no possibility of observationally connecting higher heat with lower yields historically. 3. Further local adaptation to growing season length, moisture, soil type, not just temperature. For example, Afganistan is about as backwards as it gets, yet the country has 10 locally adapted summer wheat cultivars to chose from. If temperatures rise, farmers will simply plant other cultivars. There are over 10000 to chose from. WaPo knows nothing about wheat or farming, and apparently neither do the climate ‘scientists’ behind the paper. The climate author rule of thumb applies to the paper WaPo reports on: the more authors (here 30) the worse the paper. The wheat nonsense was what struck me as well, ristvan, although you’ve put it more clearly and with more knowledge and detail than I could have. My rule of thumb is that the quality of a a paper is inversely proportional to the square of the number of authors … not true for megaprojects like CERN, of course, but for regular science it seems to hold true. If temperatures rise, farmers will simply plant other cultivars. There are over 10000 to chose from. All giving similar yields, Rud? Remember, this is about yield, not whether farmers will be able to grow a crop at all. WaPo knows nothing about wheat or farming, and apparently neither do the climate ‘scientists’ behind the paper. Field or environment-controlled experiments are independent ways to estimate temperature impacts on wheat yields 8,16. For example, 2% to 8% reductions in wheat yield for every 1◦C increase of post-anthesis temperature above an optimum season-average temperature of 15◦C (that is, local temperature) have been measured for a range of cultivars under controlled 39 and field experiments 40. Considerable variations of wheat yield impacts with increasing temperature have been found in a four-growing-season warming experiment 41. However, while measured temperature impacts on yields can guide other impact estimation methods, they are often specific to a particular location, cultivar, crop management or experimental treatment and are not representative of a larger region, which makes it difficult to extrapolate such measurements to regional or global impacts. Adaptation to global warming, for example, farmer’s autonomous adaptation through changing sowing dates or cultivars, has been suggested in several studies to compensate negative impacts of increasing temperature 46. At the global scale, point-based simulations did not consider adaptation. Also a panel regression approach attempted to exclude adaptations 10. In the grid-based simulations, four of the seven models did allow cultivar and sowing date adaptation with a changing climate (Supplementary Table 3), and the simulated impacts tended to be lower with simulated adaptation (Supplementary Fig. 10). However, temperature impacts from models with adaptation varied largely. Temperature impacts with and without adaptation were estimated from different models in grid-based simulations, which added considerable uncertainty in the results. The adaptation effects on temperature impacts should be further studied with more consistent protocols for multi-model assessments. Other future adaptation, for example, wheat cultivation shifting to marginal regions in higher latitudes, could offset some of the negative impacts. You’re sooo right, this crew doesn’t know nuffin’ about no stinkin’ cultivars, and have zero appreciation for uncertainty to boot. I mean, geez. They only compared three different methods of estimating future yield impacts when they really need to compare, like, a bazillion different methods to make sure all the bases are covered. I guess this means wheat yields will increase in the Komi Republic and Germans will be growing mangoes. Brandon, Kinda fun, the reduction in yield as a function of temperature during heading and post heading periods appears to be decreasing with time… or research focus. So if we were to “spin” the results a touch, added CO2 appears to be reducing typical wheat variety sensitivity to climate change. For example, at Aswan in Egypt, point-based and grid-based simulations showed about 11% and 20% decline in yield with 1 °C temperature increase, while for Krasnodar in Russia, point-based and grid-based simulations estimated about 4% and 7% yield decline with 1 °C global increase. Whatever methods they used to get this result obviously didn’t take account of changes to crops/cultivars with changing temperature regimes. Russia? I’m also pretty suspicious of how the number for Aswan doesn’t mention global increase while Russia does. Given that the actual increase at Aswan for a 1° global average temperature increase should be much less than 1° (while that for much of Russia would be larger overall), I suspect this is a piece of tendentious, deceptive propaganda masquerading as science. I could be wrong, but pending a detailed study of their original data and methods, I don’t find it passing the reasonability check. Russia? Have you even looked at the paper? Yes, I read the whole thing. The point of my cherry picked excerpts was to challenge whether Rud had even looked at it. Whatever methods they used to get this result obviously didn’t take account of changes to crops/cultivars with changing temperature regimes. However, while measured temperature impacts on yields can guide other impact estimation methods, they are often specific to a particular location, cultivar, crop management or experimental treatment and are not representative of a larger region, which makes it difficult to extrapolate such measurements to regional or global impacts. […] At the global scale, point-based simulations did not consider adaptation. Also a panel regression approach attempted to exclude adaptations 10. In the grid-based simulations, four of the seven models did allow cultivar and sowing date adaptation with a changing climate (Supplementary Table 3), and the simulated impacts tended to be lower with simulated adaptation (Supplementary Fig. 10). However, temperature impacts from models with adaptation varied largely. Given that the actual increase at Aswan for a 1° global average temperature increase should be much less than 1° (while that for much of Russia would be larger overall), I suspect this is a piece of tendentious, deceptive propaganda masquerading as science. The feeling of irony I’m experiencing right now is somewhat mitigated by your allowance that you could be wrong. With respect to Rud’s (overly-)simple 10,000 cultivars model and his stinging criticism that the authors apparently don’t know nuffin’ about cultivar options, nutrient and water availability, growth season considerations, temperature extremes, etc. — not so much. A meta-analysis of mostly process-based crop model simulations reported a 3.3 ± 0.8% decline in wheat yields with a 1 ◦C increase in local temperature 16. When adjusted to global temperature change (which is usually less than local wheat region temperature changes 17), this impact amounts to 3.9% yield reduction per degree of global temperature increase. Also, a summary of past regression and simulation studies reported an average of 5.9% wheat yield decrease with 1 ◦C warming 18. These values are very similar to the results obtained here for wheat using three different assessment methods. The results here are presented for 1 ◦C of global warming for consistency. However, the estimated impacts do not increase linearly with increasing temperature and the disagreement among method estimates become larger with more temperature change (Supplementary Fig. 9). That is annoyingly ambiguous, but I’m pretty sure what they mean is that they presented their results for a monolithic 1 ◦C increase at all locations above their present-day local baseline. I could be wrong, but pending a detailed study of their original data and methods, I don’t find it passing the reasonability check. Clearly they’re touting the similarity of the results between three different modeling techniques, but at the same time I appreciated their discussion of the different strengths and weaknesses of each approach. I also thought it was interesting that models which include adaptation vary more widely than those which don’t. That also makes a great deal of sense to me, it’s another set of assumptions. Assessing climate change impacts on crop production is a key aspect in determining appropriate global food security strategies 42. Reliable estimates of climate change impacts on food security require an integrated use of climate, crop and economic models 15. Applying multi-method ensembles further improves the estimated impact precision and confidence in assessments of climate impacts on global food security. The consistent negative impact from increasing temperatures confirmed by three independent methods warrants critical needed investment in climate change adaptation strategies to counteract the adverse effects of rising temperatures on global wheat production, including genetic improvement and management adjustments 47,48. However, some or all of the negative global warming impacts on wheat yield might be compensated by increasing atmospheric CO2 concentrations under full irrigation and fertilization 25. … particularly the final sentence. I have no opinion of crop models. Anybody relying on climate or economic models, however, deserves their poverty. I’m sorry, but any analysis that purports to find a reduction in yields for Russia with increasing “global average temperatures” is clearly defective. OK, if they’re comparing different methods to find how they differ in finding such reductions for Russia, that’s one thing. But all the methods they’re comparing are clearly defective. Any sensible reasonability check would find any method that predicts reduced yields for Russia with increasing “global average temperatures” to be defective. Too defective for further consideration. Anybody relying on climate or economic models, however, deserves their poverty. Models are the way, the truth and the life for the IYIs. I was Manager of Planning for an electric generation, transmission and distribution utility. Trust me: Don’t ever bet your own money on the output of a model. The same as for taking care of other peoples’ trucks, spending other people’s money is a different story. NGOs, politicians and bureaucrats are all famous for their ability to spend others’ money foolishly. Sadly, the gullible are always with us. Some of them show up on this thread. Kinda fun, the reduction in yield as a function of temperature during heading and post heading periods appears to be decreasing with time… or research focus. I’m remembering another paper in early 2015 I think it was. WUWT covered it here. Ah yes, it’s Mourtzinis et al. (2015). Mostly about soybeans, not wheat, but the heat/dryness-tolerance discussion was similar. Here’s a key nuance: Although the influence of in-season weather trends on the yields of crops such as soybean, wheat and maize has been explored in several countries 2–6, the potentially confounding influence of genetic improvements on yields has been overlooked. And here’s the bit the Denizens couldn’t seem to wrap their minds around: We estimate that year-to-year changes in precipitation and temperature combined suppressed the US average yield gain by around 30% over the measurement period, leading to a loss of US$11 billion. More likely genetic manipulation, irrigation improvements, chemical fertilizer use, pesticides … generally improved farming techniques and resources. As a first-order effect, CO2 surely contributes in the positive direction in terms of yield, but as a main driver? No, I don’t think that’s good spin at all. For Russia, the two simulation methods agreed well, but yield reductions estimated from statistical regression were markedly higher (Fig. 3c). Another study using statistical regression methods also showed higher negative temperature impacts on wheat yield than the two modelling methods used here for Rostov, a main wheat-producing region in Russia 19. Since wheat-producing regions in Russia can experience relatively low temperatures (below optimal growth temperature) during early growing stages, a temperature increase during this stage (tillering) may have a positive yield impact, while at a later stage (booting or grain filling) an increase in temperature often reduces wheat yields 19. As an average temperature over a growing season is usually used in statistical regressions, such in-season variability in temperature impacts would remain undetected. A dynamic crop simulation model takes in-season variability and impacts into account. This may explain the estimated larger impacts in Regression_A in comparison with the simulation results. Adaptation to global warming, for example, farmer’s autonomous adaptation through changing sowing dates or cultivars, has been suggested in several studies to compensate negative impacts of increasing temperature 46. At the global scale, point-based simulations did not consider adaptation. Also a panel regression approach attempted to exclude adaptations 10. In the grid-based simulations, four of the seven models did allow cultivar and sowing date adaptation with a changing climate (Supplementary Table 3), and the simulated impacts tended to be lower with simulated adaptation (Supplementary Fig. 10). However, temperature impacts from models with adaptation varied largely. Temperature impacts with and without adaptation were estimated from different models in grid-based simulations, which added considerable uncertainty in the results. The adaptation effects on temperature impacts should be further studied with more consistent protocols for multimodel assessments. Other future adaptation, for example, wheat cultivation shifting to marginal regions in higher latitudes, could offset some of the negative impacts. Brandon….you’re totally missing the concept of farming……..the farmer is going to plant the variety that grows well where he is……this was a lesson learned that caused the French Revolution…..Germany was growing wheat……and it became too cold……the wheats failed…..so Germany switched to potatoes….while France stayed with wheat….the wheats didn’t do well in the colder climate…people starved in France an revolted. ….you’re totally missing the concept of farming……..
Am I? I was under the impression that it’s about making money, or more specifically, optimizing profits as a function of capital, variable and fixed expenses. So things like yield per unit X are important, where X can be hectares, tonnes of chemical fertilizer, gallons diesel fuel for the equipment, interest payments on the loans for the equipment, labor … you get the point. And then there’s the expected market value of the commodities themselves. Wheat futures are kind of a thing, yes? Yes, clearly. Don’t see to many mango growers in wheat territory. ……this was a lesson learned that caused the French Revolution…..Germany was growing wheat……and it became too cold……the wheats failed…..so Germany switched to potatoes….while France stayed with wheat….the wheats didn’t do well in the colder climate…people starved in France an revolted. … I don’t think converting wheat combines to potato harvesters would be a feasible adaptation. But hey, the transition will probably be slow enough that the second-hand market for farm equipment won’t be glutted. Who’s worried? ADM, not so much from what I can tell. National Association of Wheat Growers, their position is that it’s better to be a part of passing legislation than letting the EPA write the rules. Monsanto is towing the IPCC consensus party line, but seems optimistic — which makes a certain amount of sense because they actually stand to make a good deal of money on adaptation measures. Ah, General Mills shows some real concern. That’s real helpful. Was it filed next to an MIT study which claimed that economic models are useless because they can’t account for market disingenuity? The history of wheat production in NA shows how farmers successfully adapted to natural climate change. An obvious correlation with rising temperatures! Now what the cause and what the consequence? How about comparing a 5 degree COOLing with a 2 degree warming on Canadian wheat harvest? PS Its kinda hard to plant and harvest under 1000 ft of ice! I have put forth those solar parameters /duration of time which I feel are needed to impact the climate and I think gong forward the solar parameters I have put forth will come to be which will then manifest itself in the climate system by causing it to cool. I dare say I think it has started already. How cool it is hard to say because there are climatic thresholds out there which if the terrestrial items driven by solar changes should reach could cause a much more dramatic climatic impact. ENSO a factor within the overall global sea surface temperature changes. Solar Parameters Needed and Sustained. euv light 100 units or less. Duration of time over 1 year following at least 10 years of sub solar activity in general which we have had going back to year 2005. DW, I agree with you. Mitigation under the precautionary principle (tipping point mythologies) is no rational way to deal with climate uncertainty. No regrets policies and adaptation if/when necessary are. No omniscience required. Just a modicum of commonsense and the awful economic consequences of the silly precautionary principle. Especially with observational ECS ~1.65. Point to a plausible tipping point on any CAGW matter. Any supposed C. Don’t think you can. Ocean acidification debunked by buffering and biology (guest post Shell Games). Sudden SLR debunked by the Eemian highstand (OLeary’s sudden Eemian SLR paper exposed as academic misconduct, guest post By Land or by Sea). Totten glacier exposed as media hype (Guest post Totten). Rapidly Accelerating SLR exposed by guest post Tipping Points. Extinctions exposed by essay No Bodies as a single bad paper with a faulty area species model, a faulty regional downscaling of a climate model that ran 2x too hot even for 2050, and deliberate selection bias into endemic species. Wheat harvest dissected in a comment to this thread. And so on. How suddenly Uncertainty Monsters and attribution problems evaporate when challenged, innit Rud. Point to a plausible tipping point on any CAGW matter. Any supposed C. Don’t think you can. Of course I cannot point to something “plausible” when you’ve already declared it to be mythical by fiat. No, BRG. I gave multiple specific examples of tipping point humbug ( a P.T. Barnum term), and asked you to provide specific counter examples. Please do so, factually. Else you just show yourself as another brainwashed believer– ‘evaporate when challenged’ — you forgot to add yours, not mine. Condense some plausible tipping point on something for us to scientifically examine. Or else evaporate here. I gave multiple specific examples of tipping point humbug ( a P.T. Barnum term), and asked you to provide specific counter examples. You gave specific examples of studies you assert are flawed, and parlayed that into “tipping points are mythical”. I can’t give you factual examples of something which has not occurred. Good grief. One obvious “tipping point” is cooling into the next glaciation. We have plenty of evidence for historic glaciation covering Canada down south of Chicago. Quantitatively, what will prevent us from sinking into the next glaciation as evidenced from previous glaciations? Quantitatively, what will prevent us from sinking into the next glaciation as evidenced from previous glaciations? It’s somewhat difficult to see at this scale, but one reason I said the Holocene is “special” is because summertime insolation at high northern latitudes didn’t drop off into “ice age” territory after the (relatively low amplitude) peak. If you look closely at the “Daily Insolation” curve, you can see that we’re just about at a local minimum, with a slight warming tendency predicted for the next 30 ky or so. One argument is that we wouldn’t have been due for another “full” glaciation from anywhere between 50 and 130 kyr or thereabouts. Another argument is that we’ve already put enough CO2 into the atmosphere to prevent those from happening, which isn’t necessarily a bad thing. The past rapid growth of Northern Hemisphere continental ice sheets, which terminated warm and stable climate periods, is generally attributed to reduced summer insolation in boreal latitudes 1–3. Yet such summer insolation is near to its minimum at present4, and there are no signs of a new ice age 5. This challenges our understanding of the mechanisms driving glacial cycles and our ability to predict the next glacial inception 6. Here we propose a critical functional relationship between boreal summer insolation and global carbon dioxide (CO2) concentration, which explains the beginning of the past eight glacial cycles and might anticipate future periods of glacial inception. Using an ensemble of simulations generated by an Earth system model of intermediate complexity constrained by palaeoclimatic data, we suggest that glacial inception was narrowly missed before the beginning of the Industrial Revolution. The missed inception can be accounted for by the combined effect of relatively high late-Holocene CO2 concentrations and the low orbital eccentricity of the Earth7. Additionally, our analysis suggests that even in the absence of human perturbations no substantial build-up of ice sheets would occur within the next several thousand years and that the current interglacial would probably last for another 50,000 years. However, moderate anthropogenic cumulative CO2 emissions of 1,000 to 1,500 gigatonnes of carbon will postpone the next glacial inception by at least 100,000 years 8,9. Our simulations demonstrate that under natural conditions alone the Earth system would be expected to remain in the present delicately balanced interglacial climate state, steering clear of both large-scale glaciation of the Northern Hemisphere and its complete deglaciation, for an unusually long time. Starting from a false position seldom leads to a sound conclusion. The true uncertainty is the attribution question, which he ignores. Despite all these efforts, there is still considerable uncertainty about the severity of future climate change for given emissions scenario. The amount of temperature changes depends not only on the amount of additional greenhouse gases in the scenario, but also on just how sensitive the climate is to greenhouse gases. This sensitivity is measured by determining how the climate would respond to a doubling of atmospheric CO2. 36 Despite model improvements, the likely range of sensitivities continues to be 2.1–4.4°C,37 thus differing by around a factor of two.38 As we saw previously, the global impacts are also likely to be much more severe at the higher temperature. 41. Nathaniel L. Bindoff et al., Detection and Attribution of Climate Change: From Global to Regional, in IPCC 2013 REPORT, supra note 7, at 867, 907 (N.L. Bindoff et al. eds.). 43. Myles Allen et al., Scientific Challenges in the Attribution of Harm to Human Influences on Climate, 155 U. PA. L. REV. 1353, 1361 (2007). I am struck by the need for multiple models to find a set climate sensitivity since all the models are using the same data base. Why doesn’t one model suffice? I surmise that there is no one model that contains all the permutations and parameterizations necessary to come to a unified model output. There is of course the possibility that all models are wrong and amalgamating all the wrong models into some sort of “average” produces and average wrong output. And, how would we know? If one in 109 models with multiple model runs does get hindcast correct, do we know that that model is the one we should choose to rely upon? spend trillions of dollars upon its output? Cripple economies for what might be classified as a random event? A trace gas like CO2 vs an abundant Greenhouse gas like water vapor, does this proportion mean anything or do they act like the gas partial pressure laws equally to their proportion? Does the weight of the atmosphere upon earth’s surface alter the proportion of which compressible gas, which condensable gas, which multimodal state gas has more influence on climate sensitivity than the other? I believe there are so many climate models, and have their adherents, is because none of them work. Which means of course that we shouldn’t spend trillions of dollars doing ineffectual things for a future that looks nothing like we imagine it to be. I would argue that the reason multiple models exist is not a top-down directive, but more a bottom-up consequence of there being multiple *international* research groups doing climate modeling. I would agree with you that there’s no consensus on the “right” way to parameterize certain characteristics of the weather/climate system. It’s also my understanding that some models focus on particular aspects according to the research interests of the group developing them. In that sense, one of GCMs major uses is hypothesis formation. There is of course the possibility that all models are wrong and amalgamating all the wrong models into some sort of “average” produces and average wrong output. And, how would we know? They’re all wrong by definition. The question is how wrong. The only way to know with a high degree of certainty is to play out one of the high emissions scenarios and find out. Cripple economies for what might be classified as a random event? Which model is it telling you that crippling economies is a foregone conclusion? A trace gas like CO2 vs an abundant Greenhouse gas like water vapor, does this proportion mean anything or do they act like the gas partial pressure laws equally to their proportion? They don’t act equal to their proportion in the atmosphere. We know this from spectral analysis in laboratory controlled conditions. If one in 109 models with multiple model runs does get hindcast correct, do we know that that model is the one we should choose to rely upon? No, because the most “correct” run (which is highly dependent on how one defines “correct”) is plausibly, if not likely, only coincidentally correct. A “proper” way to do it might be to do on the order of hundreds runs from each model, randomly perturbing initial conditions and tunable parameters. Does the weight of the atmosphere upon earth’s surface alter the proportion of which compressible gas, which condensable gas, which multimodal state gas has more influence on climate sensitivity than the other? This is turning into a bit of a Gish Gallop. Pressure broadening is a thing, CO2 is a linear molecule and H2O is not. You tell me. Ok, which model tells you what the future looks like? Here’s a simple question – in your opinion, what are the current optimum levels of CO2 and H2O in the atmosphere? The average levels of the first half of the 20th Century. By noting that those are the long-term levels under which industrialized society developed in the first place, to which we adapted over the course of several millennia. Maybe Mike F could share with us what his optimum sea level would be. It’s been argued that the Holocene is special for its relative stability due to not as extreme orbital forcing (amplitude and rate of change). I’m somewhat partial to that argument. London, New York, Miami, Shanghai, Tokyo are just some cities that need to be planning for this. Certainly. The term “optimum” in your question requires a definition which I am fairly you are unwilling or unable to provide. I’m happy to accept Nature’s judgement, as marine fossils at altitudes over 6000 m, and biotic oil and coal found deep in the Earth, at depths up to thousands of meters, show that sea levels vary a bit over time. I’m not suggesting that anybody expend any time, effort, or money on changing the current sea level. GHG reduction enthusiasts, on the other hand, seem to be willing to fight to the last drop of other people’s blood, relieve them of their last dollar, and starve them by reducing availability of the plants on which we all depend for life. If you share the GHE belief, please feel free to spend your own funds, waste your own time, and starve if you wish. As for me, I’ll generate as much plant food and water as I choose, and do my best to obtain the greatest personal benefit for the minimum personal output. Starvation, flagellation, and self mortification I’ll leave to those who enjoy it. Does that answer your question, or do you really intend to try to define “optimum” in some way that is meaningful to me? And these would be? You see, I don’t know what they were in 1900. I assume you don’t either. I note you imply that man’s evolution stopped at 1950, or thereabouts, having reached the GHG levels at which man’s development would peak. Setting aside this novel evolutionary hypothesis, what was the absolute GHG level at the start of the 20th century, and who measured it? Or are you just making random stuff up, because you’ve backed yourself into a corner? The world wonders! Feel free to deny, divert, and confuse the issue if you wish. And these would be? You see, I don’t know what they were in 1900. That’s the beauty of my answer; it doesn’t rely on needing the exact figures. I assume you don’t either. Nope. Estimates are the best I could do for you. Same for the present for that matter. I note you imply that man’s evolution stopped at 1950, or thereabouts, having reached the GHG levels at which man’s development would peak. I note you think that evolution is relevant over the course of one or two generations. Mike F, well, I was assuming you were not a Cretaceous period mollusc, but maybe your answer indicates otherwise, if it makes any sense at all. I wish you every success with your attempts to bend sea levels to your will. Maintaining a positive mental attitude, and chanting the sacred Manntras, may help. Let me know if it works. There are many people who want sea levels to rise so they can be on the beachfront, rather than some distance away. Will your method work to raise sea levels where necessary – to restore the sea to old seaports, for example? Mike F, nope, you are still making no sense when there’s over 100 million people affected by projected sea level, and the only choice now is whether they are affected faster or slower. Is optimal faster or slower? As for me, I’ll generate as much plant food and water as I choose, and do my best to obtain the greatest personal benefit for the minimum personal output. Credit where due; he’s honest about his own self-interest but at least cares about plants. I’m sorry you can’t understand me. I’ll type slower. Apparently all the water wound up in Australia. Unless you bend to our will, we’ll pump it all back into the oceans, and you’ll all have to run like hell to avoid drowning. I wouldn’t worry. Christine Lagarde said we’re all going to “boil, bake, fry or roast”, or words to that effect. Drowning might be the least of your problems. Run in circles, scream and shout!” Post a video if you like. Or maybe you could make a video of the sea levels rising. Oh, the cynicism! Sorry, the devil made me do it. Mike F, OK, I can see where you are having trouble. The rise rate in the 20th century averaged 15 mm per decade, but in the last 25 years it has doubled to 30 mm per decade, which is 75 mm since 1990. I prefer 1.75 degrees above pre industrial. This extends the tourist season, improves the local economy where I live, and could lead to the opening of a real Greek restaurant. Other benefits would be cheaper mangoes and plantains (I’m very partial to boiled plantains sprinkled with Cinnamon). Are you equating the science behind climate change to the science behind creationism? My goodness. I do have a lot of catching up to do. Sounds like somebody is in denial over plate tectonics but believes in (a literal interpretation of) “Noah’s Flood”. Are you equating the science behind climate change to the science behind creationism? That would be a fallacious horse of a different color. Note the intentional ambiguities in the previous sentence. Is this the answer you seek? Have I got this right? Is creationism just a metaphor for convoluted thinking? (E)nquiring minds want to know. What is a poor photon to do? Is this the answer you seek? * Impact pressure broadening or collisional broadening: The collision of other particles with the emitting particle interrupts the emission process, and by shortening the characteristic time for the process, increases the uncertainty in the energy emitted (as occurs in natural broadening). The duration of the collision is much shorter than the lifetime of the emission process. This effect depends on both the density and the temperature of the gas. The broadening effect is described by a Lorentzian profile and there may be an associated shift. * Quasistatic pressure broadening: The presence of other particles shifts the energy levels in the emitting particle[clarification needed], thereby altering the frequency of the emitted radiation. The duration of the influence is much longer than the lifetime of the emission process. This effect depends on the density of the gas, but is rather insensitive to temperature. The form of the line profile is determined by the functional form of the perturbing force with respect to distance from the perturbing particle. There may also be a shift in the line center. The general expression for the lineshape resulting from quasistatic pressure broadening is a 4-parameter generalization of the Gaussian distribution known as a stable distribution. It’s the first case I was thinking of when I first answered you. WRT the second case, as often happens there’s something else I hadn’t already read about. Your original question was: Does the weight of the atmosphere upon earth’s surface alter the proportion of which compressible gas, which condensable gas, which multimodal state gas has more influence on climate sensitivity than the other? The atmosphere of Mars, at a total pressure of 0.64 kPa (about 1/160 that of Earth), is 95% CO2. The amount of CO2 in a column of the Martian atmosphere is about 17 times greater than in a similar column of Earth’s atmosphere. However, the collisional broadening of the CO2 absorption and emission lines in the thin Martian atmosphere is much less than on Earth. This factor, together with the lower temperatures on Mars, reduces the absorptivities and emissivities enough to make the CO2 atmospheric warming effect on Mars weaker than that on Earth. (The lack of water on Mars also means that the water vapor feedback that amplifies the CO2 atmospheric warming on Earth is not operative on Mars.) Exactly the opposite is the case for Venus with an atmosphere that is about 97% CO2 at a total pressure of 9300 kPa (more than 90 times that of Earth). The collisional broadening of the CO2 spectral lines is larger than on Earth and extends high into the Venusian atmosphere. This factor, and the higher temperature on Venus, increases the absorptivities and emissivities so much that Venus is sometimes characterized as having a runaway greenhouse effect that makes the Venusian surface temperature about 500 K higher than it would be without the atmospheric warming. … but you won’t be able to do the math in your head. The answer as I know it is that water vapor is the largest single contributor to ECS as a positive *feedback*, as well as being the dominant contributor to the *instantaneous* greenhouse effect. OTOH, on a per-molecule basis, CO2 is the far more potent absorber/emitter at terrestrial temperatures and pressures. And unlike water, CO2 doesn’t precipitate out a few days after it gets pumped into the atmosphere. Kiehl and Trenberth (1997) is a pretty good reference for the relative contributions of clouds and GHG species the net greenhouse effect. Is creationism just a metaphor for convoluted thinking? Duane Gish didn’t originate the technique of bombarding opponents with a rapid-fire list of loosely relevant, difficult to answer (or sometimes difficult to understand) questions, but he did more or less “patent” the technique. That he was also a creationist was probably just coincidental. I wouldn’t necessarily presume a Gish Gallop to be indicative of convoluted thinking in and of itself. More an indication of not really expecting, or wanting, real answers as a tactic. Red herrings on steroids if you will. The part that gives me fits is the emphasis part, that CO2 is the dominant Greenhouse gas and water vapor is the “feedback” molecule. It seems to me that the emphAsis is on the wrong sylAble. WV is dominant by its shear quantity and CO2 is just a pipsqueak in the temperature story here on Earth. And don’t give me the linear vs bent molecular shape argument as CO2 is also bent and stretched and convoluted when energized. AFAIK Photons do not have a predilection for CO2 so quantity matters, a lot. And WV is a lot compared to CO2. The other thing, in the tropics, water vapor is a big deal. At either pole, where WV is very little, then CO2 may matter a lot, but again, in such small atmospheric quantities, that the blanket effect is likely small. Rather, the poles act like a funnel for heat energy to escape to the galaxies. The “pressure” is from tropics to poles for heat energy to escape. I am not trying to emulate Mr. Gish, I’m just trying to work things out in my own mind, which, some might say, is a lost cause. Yet, I keep trying. I am not trying to emulate Mr. Gish, I’m just trying to work things out in my own mind, which, some might say, is a lost cause. It actually looks to like you’ve already got it all worked out: water vapor is dominant, end of story. Do my eyes deceive me? I’ve given you references to support my arguments. Addressing those references might be a good way for you to advance the discussion. Thanks for trying. I am a bit slow, usually thorough, nonetheless, slow on the uptake. The creative genius of Gould cannot be understated. Not only a great writer, but the only Harvard professor ever in three separate disciplines: paleontology, biology, and geology. Also led Harvard’s Peabody Museum (home of its ‘famous’ botanical glass flower collection). His office with the battered typewriter pictured in his QUERTY essay (a metaphor for conserved evolution) was in the basement of Peabody. He is one of my scientists heroes from when I was studying at the University. A real role model. I very much enjoyed his books and essays. Far superior to Richard Dawkins, but not as popular regretfully. Well said. His magazine essays had the feel of a friendly chat. It’d be interesting to see what Gould would’ve had to say about the current state of climate science and Michael Mann referencing his book, The Mismeasure of Man, in his defense of short-centered modern-centered PCA in The Hockey Stick and the Climate Wars. Now that is a new excuse for the Pause. I thought that after 50 or so they would have stopped looking for more. At least they are not into Pause denialism. Their only problem is that the period in question did not have a predominance of La Ninas, and contains two very strong and one strong Nino. I think the pause was caused by heat exchange between the surface and ocean water below the thermocline. Or possibly clouds. Or maybe it was both? Or it could be something else. The Pause appears to be caused by method of determining global mean surface temperature. My favorite explanation is that the Pauses (in plural, let’s not forget 1945-75) are simply part of an oscillation. You push in one direction and the system responds through negative feedbacks and soon you have an oscillation with the period set by the time lags in the system. The stadium wave is simply the accumulation of energy in certain parts of the system at different times being transmitted through teleconnections and reinforcing the oscillation. These things appear to be cycles but they are not true cycles. Their periodicity can be irregular and with time as they form they disappear. 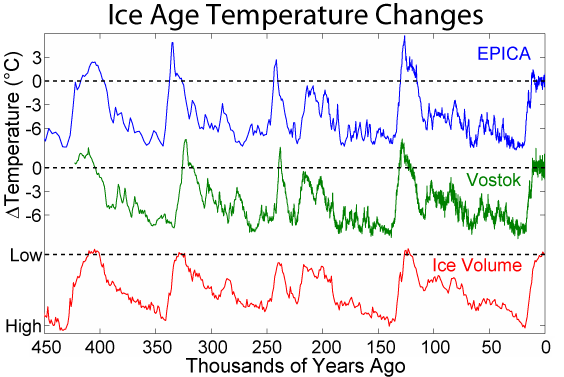 The deep ocean is warming simply because we are in an interglacial. The deep ocean changes with a completely different time frame to the rest of the system. …Furthermore, the downward tendency of cloud activity leads to a greenhouse effect hiatus after the early 1990 s, prior to the warming pause. Additionally, this pause in the greenhouse effect is mostly caused by the high number of La Niña events between 1991 and 2014…. Follow the mean, period 1991 to 2014, what happens after early 1990s? Link to the UK study (“Academic Freedom Dying Because Profs Too Scared to Use It: Report”) is missing. The report can be found here. Part III analyzes efforts to determine the economic impact of future climate change as a factor in cost-benefit analysis. The main example is the federal government’s estimate of the social cost of carbon, but understanding that estimate requires considerable preliminary exploration of climate economics. As we will see, the economic uncertainties amplify the scientific ones, making confident conclusions difficult. But the economic models do confirm the crucial role of three factors in determining the social cost of carbon: the magnitude of climate sensitivity, the size of the discount rate, and the handling of possible catastrophic outcomes. I’d argue it the other way around: the scientific (physical) uncertainties amplify the economic uncertainties. However, it need not be one or the other; I could see it being valid to argue that they amplify each other in an infernal feedback loop. Part IV then offers some brief conclusions based on these case studies. The precautionary principle seems to work well enough in identifying when climate risks require serious policy responses, but provides less guidance about the extent of the response. On the cost-benefit side, uncertainty about the economic impact of climate change remains great, driven largely by disagreements about how heavily to weight harms decades or even centuries in the future and about how to take into account the risks of high climate sensitivity and of catastrophic outcomes. Some ways of combining use of the precautionary principle and economic analysis have been suggested, but these hybrid approaches have difficulties as well as promise. One fruitful possibility may be to combine these approaches into a two-step process. The first step is to use economic models of climate change, with precautionary assumptions about parameters, to help identify feasible global temperatures that minimize the risk of catastrophic outcomes. The second step is to back out the social cost of carbon based on compliance costs along the most efficient trajectories for reaching this goal. Pending improvements in the decision making process along these or other lines, however, the case studies indicate that decision makers are coping with uncertainty in reasonably defensible ways when making specific policy decisions. I couldn’t agree more with the first paragraph. The second one raises my eyebrows as it *seems* to presume we know enough to identify things like “most efficient trajectories” or a “feasible global temperature”. That said, the minimal risk category is easy: no change, and clearly that is NOT feasible. I will continue reading, perhaps my initial objections have answers I find satisfying. These quibbles aside, the document looks to be written in a way accessible to a lay audience (like me), fairly comprehensive and therefore informative and useful. Thanks for posting it. I had to laugh out loud when reading Elizabeth Nolan Brown’s opinion piece about why the recent food fad conversation shifted from “Grains are Good and Fat is Bad” to “Fat is Good and Grains are Bad”. Brown never understood that the original recommendations of what constituted a “balanced” 2200 kCal diet came from a small group (6 people) who were asked to recommend a diet for workers building ships and tanks for WW II, 30 years before the Sugar group was formed (1967) to lobby. Even today you can’t get a nutrition “expert” who will say that MEAT and the FAT in that meat is essential to good health and wellbeing. Now they recommend legumes and nuts for their protein value, which technically speaking are not equivalent thanks to the pioneer discovery of Arachidonic Acid by another Brown Yet, the experts can not bring themselves to admit they failed to read the “primary” literature found from research performed in the first half of the 20th Century. The whole mystic of Whole Foods and Natural food by the Baby Boomers was wrong-headed and led to a lot of talking head’s worthless chatter. If one goes back to basics; i.e., breast milk as Mother Giai’s answer to the question as to what is best for growing bodies like infants through adolescence, re: percentage and kinds of fats, proteins and sugars, that is a good place to start dietary recommendations. Then move onto young adulthood when the 33%/33%/33% ratio for hard working people makes sense and finally the aged (>65 y/o) where the total calories needed tends to wane. There are some variations like the Mediterranean Diet with a generous amount of Chiati red wine which in combination seems to have a longevity benefit. And for those whose ethnic stock is from the foothills in Azerbaijan, then a bottle vodka and a pack of cigarettes a day will get you to 104 as well. If there was a conspiracy to hide the facts on fats and sugars from the public, the various food industries and evangelical nutritionists have led such shenanigans for a very long time. Remember, there is an easy dietary way to health and prosperity, you only have to find the “right one”. And as PT Barnum use to say….”There’s a sucker born every day.” Thank you Ms Brown for you affirmation piece. GMO. The evolution of glyphosate resistant weeds is a big problem. Over 10 species, now infesting over 10 million acres. Interesting, because the weeds could not have spread, so must have independently evolved resistance in different places over the same time frame. That 10 species in several genera did so at the same time strongly supports that view. Glyphosate has a very specific mechanism. It inhibits synthesis of the EPSPS enzyme. So far, at least 6 different ways resistance has evolved have been identified. Interesting, because the weeds could not have spread, so must have independently evolved resistance in different places over the same time frame. While I’d consider independent evolution perfectly possible, I don’t see how you can say they “could not have spread”. How far/fast can weeds with wind borne seeds spread? How about seeds that hitchhike on birds? How about pollen, both wind and insect borne? Even between “unrelated species”: lateral transfer to/from gut bacteria of insects and/or omnivorous birds or small mammals couldn’t be ruled out without specific studies. Same perhaps for mycorrhizal fungi. AK, do you have any idea how big 10 million acres is in about 10 years?Work it out yourself then get back. At high winds. As for migratory birds, how come the infested acreage ( map provided in my first ebook) does NOT follow midwest migratory paths? A suggestion. Do a little research before posting obviously contrary opinions. Google is your friend. BTW, this topic was covered with images and references in Gaia’s Limits, which I spent three years researching before publishing. 10 million acres is around the combined size of the two biggest cattle stations in Australia. Anna Creek is a bit bigger than Israel, but after a period of drought only supports a nominal 1500 head or so, of cattle. After a bit of rain, carrying capacity jumps to around 15 or 20,000. Pity no one can predict the droughts or rains with any usefulness. Maybe the station owner should consult a shiny computer model? AK, do you have any idea how big 10 million acres is in about 10 years?Work it out yourself then get back. A 10-fold multiplication annually would allow a 1-acre infestation to reach 10 million in 7 years. The seed/pollen distribution mechanism of, say, horseweed, would be consistent with such rapid spread. Phenotypic convergence may be due to changes in the same or different locus/loci—when the same locus is responsible, the phenomenon is considered “genetic parallelism” (Martin and Orgogozo, 2013). Examples of pesticide and herbicide resistance have been referred to as cases of “extreme parallelism” since the same locus can be implicated to underlie resistance in multiple distantly related species (Martin and Orgogozo, 2013). Thus, these cases are used to bolster the contention that genomic constraint is responsible for phenotypic convergence in nature (Martin and Orgogozo, 2013). While the many documented cases of herbicide resistance do in fact provide firm evidence that parallel genetic changes cause convergent phenotypes, parallelism at the genetic level is not always the case—there are a number of examples wherein the mechanism underlying resistance to the same herbicide differs among and even within species (Yu et al., 2007; Preston and Wakelin, 2008; Preston et al., 2009). However, the spread of resistance involving “parallelism at the genetic level” need not be due to independent mutation. Long-distance transport and lateral gene transport would have to be specifically ruled out in each case. Thanks, Brandon. My primary issue is the tendency of genetic sciences to ignore the potential for LGT/HGT as a source of mutation. IMO the ancestors of modern Eukaryotes were doing their own GM experiments on bacterioform symbiotes billions of years ago, and all the other life forms except descendants of experimenters and their subjects subsequently became extinct. Looked at this way, the modern potential for LGT to take place under symbiotic conditions could be expected to be much higher than if it’s treated as random accident. I do note that a brief and cursory search didn’t turn up much evidence of research into the explanation for the exact same mutation for resistance showing up in widely divergent “species”. A google search on “genomic constraint” (as mentioned in the paper I linked above) turned up little of value (IMO). Examples of pesticide and herbicide resistance have been referred to as cases of “extreme parallelism” since the same locus can be implicated to underlie resistance in multiple distantly related species (Martin and Orgogozo, 2013). Thus, these cases are used to bolster the contention that genomic constraint is responsible for phenotypic convergence in nature (Martin and Orgogozo, 2013). Horizontal gene transfers are a second mode of lateral transfer that does not involve hybridization between sibling species (Syvanen 2012; Fig. 1C). This phenomenon can occur between extremely distant organisms (Ros and Hurst 2009), and is a primary force of genome evolution and adaptation in prokaryotes (Hehemann et al. 2010; Syvanen 2012). Between eukaryotes, the transfer of carotenoid synthesis enzymes from fungi to aphids (Moran and Jarvik 2010), and of an algal photosynthesis enzyme to a sea slug (Rumpho et al. 2008) offer spectacular examples of phenotypic evolution through gene transfer. Loci that spread to distant lineages via lateral transfer or fixation of ancestral polymorphism (Fig. 1B,C) could certainly be considered as hotspots of evolution that inform us about how fit these variants are, but it is debatable whether they are genuine repetition (was a given trait “invented” twice?) or a genetic form of plagiarism. For instance, most biologists would agree that the molecular machinery that underlies carotenoid biosynthesis in aphids is not in itself a phenotypic novelty, as it was directly inherited from fungi (Moran and Jarvik 2010). For this reason we propose a definition of hotspots that restricts repetition to the independent appearance of causal mutations (Fig. 1D,E) rather than including the repeated propagation of existing variants (Fig. 1B,C). The exclusion of lateral transfers and ancestral polymorphisms also makes the hotspot definition more practical because the current literature usually does not allow to infer whether allele identity within a species reflects gene reuse or direct lineage descent. We thus define the phenomenon of genetic hotspot of variation (thereafter abbreviated as hotspot), as the repeated occurrence of de novo mutations at orthologous loci and directly causing similar phenotypic variations. Repeated de novo mutations can occur at the same locus either in distinct lineages (interlineage hotspot, Fig. 1D) or within a single lineage (intralineage hotspot, Fig. 1E). Although the term “parallel evolution” is contentious due to contradictory usages and definitions (Arendt and Reznick 2008; Scotland 2011; Pearce 2012), interlineage hotspots are smoking guns of parallel evolution sensu Scotland (2011), where parallelisms are assimilated as homoplasies at the genotypic level. The criteria “orthologous loci” and “similar phenotypic variations” are discussed further below (end of Part 2). Next we qualitatively assess the body of experimental evidence for hotspots. …Then appear to make the blanket assumption that any locus that shows the same point mutation in multiple populations must be due to a “hotspot” rather than LGT. My genetics are rusty (and were never very advanced to begin with), so I fear that I’m now getting a bit lost. When I read your comment last night, the model I had in my head was of a particular allele that is already widely distributed among many populations but present in low frequency in any given population. I hadn’t considered the implication of LGT between “species” (I like the use of “scare quotes” there) with common symbionts serving as the intermediary. My primary issue is the tendency of genetic sciences to ignore the potential for LGT/HGT as a source of mutation. Perhaps that’s because they see it more as a transfer mechanism for mutations? IMO the ancestors of modern Eukaryotes were doing their own GM experiments on bacterioform symbiotes billions of years ago, and all the other life forms except descendants of experimenters and their subjects subsequently became extinct. You’re alluding to the success of the mitochondria and chloroplast symbiosis in modern eukaryotic organisms, I take it? Oh. A lightbulb may have just flipped on. We’re GMing crop plants for Roundup resistance, symbionts could be a vector for transferring our tinkering to noxious weed species. Eeek. There are reasons I don’t use anti-bacterial soaps, you know. I hadn’t considered the implication of LGT between “species” (I like the use of “scare quotes” there) with common symbionts serving as the intermediary. The “scare quotes” are because “species” is a very difficult term. “Speciation” is a heavily studied, and debated, subject. It isn’t just symbionts, although they’re part of it. It’s also because, IMO, most of the non-symbiotic bacterioforms (archaea and eubacteria) are evolved from former symbionts. Thus many of them retain the mechanisms originally evolved to support Eukaryotic tinkering with gene transfer (e.g. reverse transcriptase). I doubt it. Given that they’re assuming simultaneous, identical, independent, point mutations in unrelated species, I’d guess they’re just assuming that LGT hasn’t taken place unless/until proven. Sort of the way many warmists regard internal unforced variation in climate. Or the way “skeptics” regard risks of CAGW that haven’t been 100% proven. Not just that. IMO there’s no warrant for assuming that the symbioses that led to mitochondria were the first invented. I’d guess that pre-mitochondrial Eukaryotes were experimenting with GM’ing bacteriaform symbionts for a long time before there was enough oxygen in the air to make pure oxygen-burning cost-effective. This whole group includes many bacteria with (non-sulfur purple) photosynthesis, as well as many whose lifestyle is essentially intra-cellularly parastic. IMO the early semi-symbiotic relationships involved energy from both trace oxygen and chlorophyll. As oxygen became more common one population developed an obligate symbiosis involving a “stripped down” bacterioform that had lost the major parts of its chlorophyll metabolism, with considerable gene transfer to the nucleus, then “went viral” in an explosion of adaptive radiation that drove almost every form not involved in its various symbioses to extinction. Hence my appreciation for your use of spooky punctuation … for once I wasn’t snarking. I see the concept of “race” as an even more dubious taxonomic distinction when approached from the point of view of population genetics relative to the entire genome. Thus many of them retain the mechanisms originally evolved to support Eukaryotic tinkering with gene transfer (e.g. reverse transcriptase). All my memories of this stuff are centered on prokaryotes, e.g. plasmid transfers in bacteria. And my cell biology in general is very very rusty because I never used it for anything but doing labs and passing exams. Was fascinating stuff though, and I do often miss it. Given that they’re assuming simultaneous, identical, independent, point mutations in unrelated species, I’d guess they’re just assuming that LGT hasn’t taken place unless/until proven. Ok, now I better understand your argument. I’ll have to read more to form a stronger opinion on it either way. Sort of the way many warmists regard internal unforced variation in climate. Or the way “skeptics” regard risks of CAGW that haven’t been 100% proven. If there weren’t valid rocks to throw at both sides, we wouldn’t be human. IMO there’s no warrant for assuming that the symbioses that led to mitochondria were the first invented. Oh, I’d fully agree with that. I look at it more that it was one of the most wildly successful ones. To me, chloroplasts are the interesting case because I see them as basically essential, but they’re not as ubiquitous as mitochondria are. is simply totally false — and if it had been said of someone not already dead, Reason.com would be looking at a well deserved libel suit. It not only says no such thing, it doesn’t even say Big Sugar influenced the review paper in question. eGads! Sounds like Climate Science! Where the whole dietary cholesterol (eggs, bacon) thing went off the rails was fundamental metabolism. Most Blood cholesterol is synthesized in the liver. That is how statins work–they all lower liver cholesterol synthesis. That is also why liver complications are the main statin side effect. Like climate, a wicked problem. CBS VIDEO: Did sugar industry play down health hazards for decades? So, Big Sugar created the conventional wisdom that fat caused heart disease ( squelching other research that indicated sugar was a problem ). It also appears that Warburg’s early cancer postulate – that cancer is a metabolic disease, not a genetic disease – follows a similar line. All ==> The real point is that the so-called research finds no such thing — the headlines are false on their face — the research looked into one little thing — a single review paper in a decade’s worth of nutrition science — and found that a single sugar industry lobby-group supplied funding for a single review paper. I’ve already quoted the papers “caveat” — in which the author(s) state that there found no evidence of anything untoward, other than the funding, which is not then nor now unethical. To make the types of claims made by the headlines is just more “Anti-Corporatism” propaganda. Its the no-journalism-here bandwagon — like false or erroneous science papers, false and misleqading news reports lead to falser and more misleading news reports in a cascade of false information..
Who was it that said something like: Lies cross the finish line while truth is tying its shoes? Just great: Combine unreliable and speculative climate models with rank economic fantasies. Shake well and come up with hugely expensive and industrially disastrous governmental programs. As long as green NGOs are driving climate politics and populating our bureaucracies and universities there will be no rational review of available climatic data. The retired military brass unequivocally projects severe impacts upon our security “as America’s coastal installations become inundated in coming decades,” That seems as overconfident a stance as was the expectation of finding WMDs in Saddam Hussein’s Iraq. I actually could believe that President Obama’s military would not be able to protect its installations from the still-slowly rising sea levels “projected” by climate models. US President Goes to War with Poseidon. Catchy headline. Well, he lost all his other wars, both foreign and domestic. MILSPEAK for OK policy makers quit waving hands about risk and give us numbers to work with. Don’t forget to fund the money! Says it all, really. What, I’m not sure. It appears in Nature, so it must be true, right? The lack of warming is due to a lack of warming! Phew! I was a bit worried for a moment! Here’s what it looked like to me. The trade winds cause more La Nina conditions. The water in the ENSO region is cooler causing less clouds and less GHG effect. At the same time, more SW should enter the water there. The net of that has various possibilities. If Joules were trying to escape Earth there are places with a high gradient, where it’s the warmest it seems to me. If the clouds GHG effect is lessened there, the effect might be great. We insulate tank hot water heaters to increase their efficiency. We lost some insulation and have less hot water per Joule. If they are correct, we see the Pacific Ocean countering to some extent the GHG effect. El Ninos has been described as a rearrangement of energy in the system but part if could be the insulation increases during them. An El Nino without regional insulation might not teleconnect so well. So it could be a combination of a rearrangement and an insulation change. It would be a form of synchonization. If the idea was to warm the atmosphere for a year, we’d ask for ocean warmth out and more insulation. The opposite would hold. Less ocean warmth and less insulation. Sensitivity has been described as variable. The study is one more reason to believe it is. Here’s a new article from Larry Krauss, who has taken his place alongside Richard Dawkins, Sam Harris and Daniel Dennet in the New Atheists’ good old boys club. Needless to say, it doesn’t get much more doctrinaire and dogmatic, and remote from factual reality, than that. If you know the answers you want in advance, you can always find them by cherry-picking your data. That’s what climate-change deniers have tried to do in recent years in arguing that there’s been a “pause” in the global-warming trend over the past two decades—suggesting, thereby, that global warming is just a temporary anomaly unrelated to human industrial activity. Last year, scientists at the National Oceanic and Atmospheric Administration put the “climate change hiatus” myth to bed. They published a paper in Science that showed, using new and more definitive data, that the claimed “pause” hadn’t taken place. A false argument was made that saturated fat caused heart disease. Coconut oil being highly saturated was demonized. Nutrition researcher Dr. Mary Enig describe this in detail in The Oil of America. Enig analyzed the USDA data that the McGovern Committee had used and concluded that it showed a strong positive correlation with total fat and vegetable fat and an essentially strong negative correlation or no correlation with animal fat to total cancer deaths, breast and colon cancer mortality and breast and colon cancer incidence—in other words, use of vegetable oils seemed to predispose to cancer and animal fats seemed to protect against cancer. She noted that the analysts for the committee had manipulated the data in inappropriate ways in order to obtain mendacious results. . . .
Enig’s paper noted that the correlations pointed a finger at the trans fatty acids and called for further investigation. The US FDA finally required Trans fats be labeled. You can also use coconut oil for lots of interesting things – encourage growth of eyelashes, remove rust, prevent a hangnail, use as belly balm . . . The inventor of Vaseline, Sir Robert Chesebrough claimed he ate a teaspoon of the stuff a day. He lived to the ripe old age of 96. Sir Winston Churchill smoked (lots of) cigars and consumed (lots of) alcohol. He died at the age of 90. So, adopting best climate science practices, similar to adding wattages, if one consumed Vaseline, and smoked and drank like Sir Winston, one should expect to live to 186 or so. Add the undoubted benefits of the fatty acids present in coconut oil, and the sky’s the limit! Adding longevities is about as silly as adding wattages. Proponents of the GHE will probably disagree. Mike Flynn Before dissing it, look at the medical/physiological evidence behind coconut oil vs animal fat. Coconut oil is has the highest concentration of “medium chain” fatty acids – 12 carbon chain or shorter. As I understand it, those are preferentially directly metabolized by the body compared to longer chains that must be broken down in the liver. Coconut oil increases metabolism, so that even with higher caloric intake, people lose weight on more coconut oil calories vs other diets. etc. Read and study Mary Enig’s research. She was the world’s foremost authority on trans fats – that turn out to be the primary culprits – opposite the natural medium chain fats of coconut oil. Her research finally won out with the FDA requiring trans fats to be labeled. Coconut oil is a fresh natural food that is sterile in the shell. Petroleum was once biomass so some may possibly be edible. I’m not dissing coconut oil. Nor Vaseline, or anything else. I’m sorry my initial remarks about the obviously non dietary uses for coconut oil (or olive oil or bear fat, I suppose), were not seen as the admittedly poor attempt at humour they were. Being serious now, my point was that GHE supporters tend to concentrate on adding and supporting wattages supposedly due to various causes. It’s as silly as saying that, if eating Vaseline is correlated to a longevity of 96 years, and smoking and consuming alcohol results in longevity of 90 years, then eating Vaseline AND smoking and consuming alcohol will mean a longevity of 186 years. You cannot properly add the individual longevities and have a resultant longevity of 186 years, even though the addition is a valid mathematical operation. No disrespect to coconut oil or Vaseline intended. I’ll save my disrespect for people who thinking adding wattages is meaningful in relation to temperature. Video making the rounds on Facebook this weekend. Genius uses for coconut oil. Aaron. You could even explore published papers on coconut health. The global long-term temperature trend below 2000 m, representing the time period 1991–2010, is equivalent to a mean heat flux of 0.065 ± 0.040 W m − 2 applied over the Earth’s surface area. Now, first off, if that uncertainty is one standard deviation as is usually the case, then that change is not significantly different from zero. How can people write an entire paper about something that they can’t show is statistically different from zero? That deep part is just under two-thirds of the ocean volume. Am I the only one who finds it … well … highly improbable that we have measured the temperature of that huge inaccessible volume of water to a precision of thousandths of a degree? Thank you. Could you comment/speculate on what this might mean for the estimates of ECS that are derived from satellite and ocean heat content data? E.g., what might be the effect on the uncertainty of ECS estimate from such empirical data? There’s about 0.1 W/m2 coming up through the crust beneath the oceans. Add to this the unquantified heat coming through direct mantle exposure at the mid ocean ridges etc, and that from thermal vents, and it’s not surprising that the oceans don’t freeze through. Nothing to do with sunlight or GHGs obviously. Hot spots below the ocean crustal basins seem to wander about, and are probably responsible for apparently random shifts in major and minor ocean currents. The fluid dynamics in the oceans are seemingly chaotic, and arbitrarily small changes in inputs can result in unpredictable effects. Maybe the researchers have inadvertently rediscovered that the Earth is a slowly cooling ball of white hot rock. The abyssal water has no choice but to rise if it’s density reduces due to warming, setting up slow moving but inexorable convection currents. The energy is eventually radiated away to outer space, and the Earth continues to cool. Sorry for butting in, but people forget there’s a good few terawatts of heat continuously radiating from the crust. Last year at a conference in Exeter, Thomas Stocker said we did not currently have the technology to measure the temperature of the deep oceans. The idea that we had it 20 years ago -let alone to this degree of ‘accuracy’-is ludicrous. They don’t claim to have measured the temperature of that huge volume of water. They claim to have measured the trend. That is the point of the “repeat hydrography”. What they do is described in this PhD thesis of Sarah Purkey. They compare repeat measures taken at similar location separated by some years. They have a vertical profile of temperature and conductivity – there is a process for correcting for differences in exact location. They calculate the time trend at each location. Then they aggregate. The uncertainty reflects the variability in observed trend between sites. He includes those “bad” scientists in the IPCC report. Given current trends and average ocean temperature of 3.9°C I would say thousands of years. We will be deep into the next glaciation before any heat comes out of the deep oceans. JCH, Thank you for your impressive proof, that you really don’t know facts and you always seem to hate them when you see. Two proofs in one. ECONOMICS OF CARBON PRICING http://www.policyschool.ca/wp-content/uploads/2016/02/Carbon-Pricing-McKitrickFINAL.pdf is clear, well explained and covers all the most important points, except what is possibly the most important of all – we do not have a handle on the damage function. We don’t know if GHG emissions will be net beneficial or net damaging. The uncertainties are so high as to make any estimates of the damage function meaningless. So all the yap about CAGW is hot air. Useless, ideologically-based belief-driven drivel. The other major problem with carbon pricing McKitrick doesn’t mention is that it is a command and control policy. It has to be set up by politicians and legislation and will inevitably be ‘adjusted’ from time to time (i.e manipulated for party political advantage). Bureaucrats and politicians decide the rules and how the the amount of carbon must be controlled. Inevitably there will always be fiddles and inevitably countries will renege from time to time. And, all for what purpose? what will int achieve? What’s the benefit? Yeah, so much hot air and no hot spot. The last millennia can give us no useful information about benefits or damages from GHG emissions. The planet has been and normally is much warmer than now and life thrived. We are near the cold extreme of the planet’s normal range. The sentence should say if we push our Earth outside of its mode of operation of the past 500 million years, the further we steer it into uncharted waters. Policymakers use two different strategies for setting climate policy in the face of this uncertainty: cost-benefit analysis and the precautionary principle. Precautionary principle should be based on rigorous risk analysis, but as used by the CAGW believers it is not. It’s driven by belief. This Article analyzes these strategies and considers their application to climate risks in four case studies: determination of the social cost of carbon, international endorsement of a 2°C ceiling on warming, the Environmental Protection Agency’s endangerment finding, and the polar bear listing decision. 1. “determination of the social cost of carbon” – requires a damage function and other inputs that, in combination give a result with acceptable uncertainty. We don’t have the necessary inputs. The damage function is the most uncertain. If the CAGW believers can’t present a convincing case that GHG emissions are doing more harm than good, there is not a valid, rational justification for any climate policies other than no regrets policies. In the meantime, the four case studies indicate that decision makers have managed to make reasonably defensible decisions despite the obstacles. The decisions are not defensible, except in the eyes of ideologues who believe in CAGW. I got to the first sentence of the Introduction and stopped. The problem with estimating future damage from climate change is that future temperatures may ultimately be outside the range of historic variations. Define historic. To me it is geologic time, such as the time animal life has lived and thrived on Earth, i.e. about the past 500 million years. We certainly will not get up to even the middle of the normal range. So this statement is nonsense, IMO. If he is referring to historic time as in when history has been recorded by humans, well that time scale is irrelevant – e.g. 5,000, years in 500,000,000 years. The basic strategy for calibrating the damage functions is to draw on estimates from previous studies of the potential economic losses in each category at a benchmark level of warming of 2.5 degrees Celsius, extrapolating across regions as necessary to cover data gaps in the literature. Studies are biased. The researchers cherry pick things to study to attempt to show high damages (and get funding for their research). They are not objective and balanced and do not show the overall net benefit or damages for the world as a whole. Masur and Posner dismiss the damage function in DICE as “essentially a guess,” a charge that may have some validity. That’s about the truth of it, and it is recognized by even the IPCC – refer AR5 WG3 Chapter 3 (18 mentions of the damage function). They then conjecture that “the models differ in large parts because their authors chose arbitrarily different damage functions; therefore the SCC [social cost of carbon] just reflects the average of these three guesses. It’s clear. There is no valid, defensible justification for a SCC other than $0. I could go on, but all but the deniers will get the point. There is no valid empirically justified damage function. Therefore, we have no valid evidence to justify spending money on policies, other than no regrets policies. A third option would be to bypass the IAMs when setting a target. We could then set a temperature goal using the precautionary principle, based on some rough judgment about the dangers of climate change and the range of feasible emissions reductions. The IAMs could then be used to try to identify a least-cost trajectory of emissions for achieving the goal. This would require using the climate modules and the mitigation cost modules from the IAMs, but not the damage functions or discounting. Hence some of the key economic uncertainties would be avoided. In other word’s chuck out the info that doesn’t support your beliefs, and then make a value judgement. That’s climate religion for you – no science or rational analysis required. Mosher note! What a laugh! No valid basis for belief in CAGW. No valid justification for policies other than not regrets. CAGW is religion not science. Alarmists are ideologues, not rational or objective. Ah, the rabbit-hole dweller syndrome. Forgetting the “C”, as that is an invention of the Hobbits, AGW has a wealth of evidence from multiple lines of inquiry. That a doubling of CO2 in the Earth’s atmosphere via burning fossil will result in a global average mean temp rise of between 1.5 & 4.5C. As we’ve already got to 1C with just a 40% rise then it is likely that it will be closer to the higher number than the lower. To say that the evidence does not exist beggars belief, until you realise what human psychology can do. No, Deniers ( yes, that is what some here are at least – as no amount of “reasonable” evidence will convince). The ultimate Hobbit statement …… “Alarmists” are ” not rational and objective”. Pray tell, how it is rational and objective to reflexively dismiss that overwhelming evidence based on empirical science? And apparently never blink when you do? Could it just be that you don’t like certain implications that come with it, err, maybe involving your “tax dollars”. Or perhaps the implications will not impact you personally ever? But don’t give a jot about others on this planet. Oh, and another thing. The science is not the politics or the policies. That is for the politicians, not the climate scientists. But then there are exceptions to rational behaviour, I mean politics has Trump. It appears you do not recognize that evidence works both ways. Climate does change on its own, and there is no practical difference between early and late 20th Century warming periods. With a 300 year warming trend, one might expect later warming periods to be start off warmer and go higher than earlier periods. It should be evident to all observers by now that climate models tuned to the late 20th Century warming trend have no predictive value. That is not saying there is no AGW. It is saying, though, that high climate sensitivities are improbable and that faith in a semi-monotonic increase in global temperatures based on CO2 levels is unfounded. I reject the idea that I should spend money on a belief in an uncertain future. Better to spend on things we can improve upon. Forgetting the “C”, as that is an invention of the Hobbits, AGW has a wealth of evidence from multiple lines of inquiry. And the reason I’m in favor of “forgetting the ‘C'” is because, if we do, then there’s no “benefit” in the cost-benefit analysis used to justify the enormous cost to mitigate CO2 emissions. There’s no looming climate apocalypse that justifies invoking the precautionary principle. You’ve misunderstood what the argument is about. We are not arguing about whether there is evidence for AGW. We are arguing about whether or not GHG emissions will be net harmful – i.e. will do more harm than good. Even the IPCC admits there is a lack of empirical evidence to calibrate the damage functions. They are basically guesses. The relevance of this is that there is no rational justification for spending (i.e. wasting) money on ‘climate policies’ or the $1.5 trillion per year the world is currently spending on the climate industry (mostly consultants and academia). CO2 goes up, temperatures go up. – except when they stay steady orgo down. There is no paper that shows causation. You are resting your beliefs on correlation. Why can you not be more scientific and not accept loose talk about correlations until you have shown causation to your satisfaction? The causation remains speculation because it requires separation of GHG effects from natural effects. Nobody to date has shown this separation can be done. Agreed. There seems to be more value placed on formal education than on experience and wisdom. 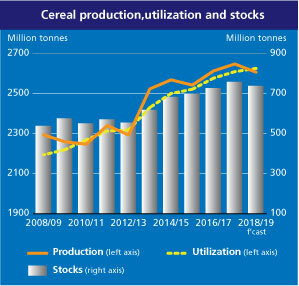 So we should anticipate SL rise of 20 mm/year each year between now and 2100? Something is rising fast but sure isn’t water. To make scientists happy we should put all our data inside our body somewhere and you will never loose your keys again, just you left hand I guess. You won’t even be around to complain anymore. 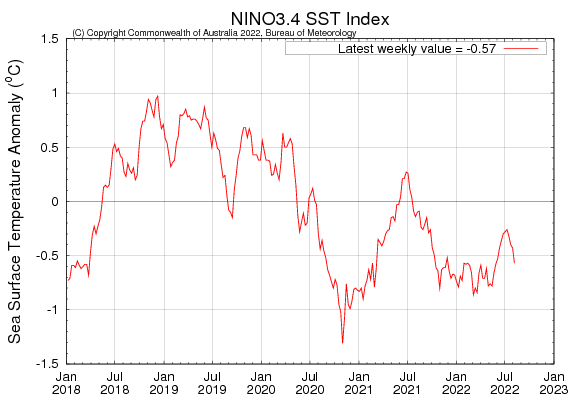 Nino 3.4 region down to a point not seen since early 2013. Nino’s close. Does our inability to pin down the gravitational constant result from subpar means of measurement, or might it actually signal something deeper about the nature of reality? There’s the possibility that new physics waits to be uncovered, perhaps a variable gravitational constant, hidden extra dimensions, or even the long sought after unification of Einstein’s general relativity with quantum mechanics. Despite such progress, the discrepancies didn’t disappear. In 2010, Harold Parks of the Joint Institute for Lab Astrophysics (JILA) in Boulder, Colorado, and James Faller of Sandia National Laboratories in Albuquerque, New Mexico, produced one of the lowest gravitational constant measurements yet, about 0.025% below the accepted international value (7). Then in 2013, a team at the International Bureau of Weights and Measures in France found G to be 0.024% higher (8). These two divergences seem small, but in the field of high-precision metrology they are indeed significant. Building on regenerative photoelectrochemical solar cells and emerging electrochemical redox flow batteries (RFBs), more efficient, scalable, compact, and cost-effective hybrid energy conversion and storage devices could be realized. An integrated photoelectrochemical solar energy conversion and electrochemical storage device is developed by integrating regenerative silicon solar cells and 9,10-anthraquinone-2,7-disulfonic acid (AQDS)/1,2-benzoquinone-3,5-disulfonic acid (BQDS) RFBs. The device can be directly charged by solar light without external bias, and discharged like normal RFBs with an energy storage density of 1.15 Wh L^−1 and a solar-to-output electricity efficiency (SOEE) of 1.7 % over many cycles. The concept exploits a previously undeveloped design connecting two major energy technologies and promises a general approach for storing solar energy electrochemically with high theoretical storage capacity and efficiency. What is the deal with the JISAO PDO? It’s the 23rd and August is not up. NOAA’s went negative for August. You and me both… the August AMO went up, which, up/down/whatever means didlly squat.